In teachers’ busy schedules every minute matters. Classroom management is probably one of the key areas where the likelihood of wasted time is higher. Instead of doing things the traditional way, which can take up so much of your precious teaching time, there are apps that can do the same job if not better and with way less time. Besides the numerous classroom management apps we have previously reviewed, today we are sharing with you three excellent apps to use in class to quickly and easily track and control students attendance. They also provide you with a bunch of powerful features that make your attendance tracking much more productive. For instance, you can generate detailed attendance reports to share with students and parents, receive missing attendance alerts, export students data to the cloud and many more. 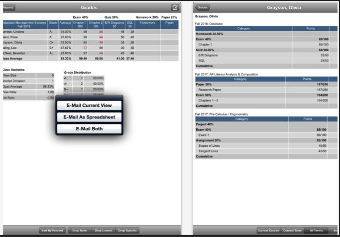 This is a simple yet effective iPad app to use in your class to track your students attendance. K12 Attendance allows you to type in the names of your students to make regular checks on who has been absent during the last 10 days. It also provides missing attendance alerts to notify you of absent students. 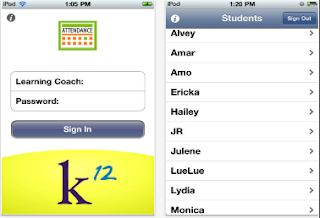 This is another handy app to help you record and track your students attendance. You can create classes in Attendance Manager using pre-made templates, type in the names of your students and, if you want, add photos to their names and start tracking their presence right from your iPad or any other iOS-operated device. Other interesting features offered by this app include: mark attendance for group of students at once, report quantity and dates of classes attended for any student, generate daily cvs reports, and back up your data to your Dropbox. Teacher’s Aide is a double-purpose app that allows you to both grade your students and control their attendance. 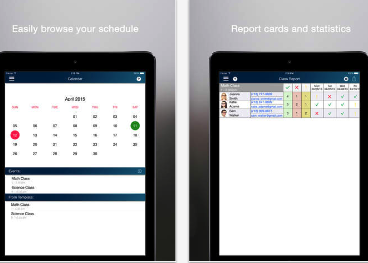 As for the attendance features, the app lets you send texts and emails to absent students, jot down notes for attendances, display the las date of attendance, receive alerts, generate individual as well as class attendance reports, share reports with parents and students, export data as HTML or CSV and many more.